The entire crowd is busy looking forward to the official launch of Mercedes Benz E-Class, but the company has taken an unconventional route to showcase their brand new vehicle. For the first time in many months, Mercedes Benz showcased the interior design of the E-Class 2017 edition. 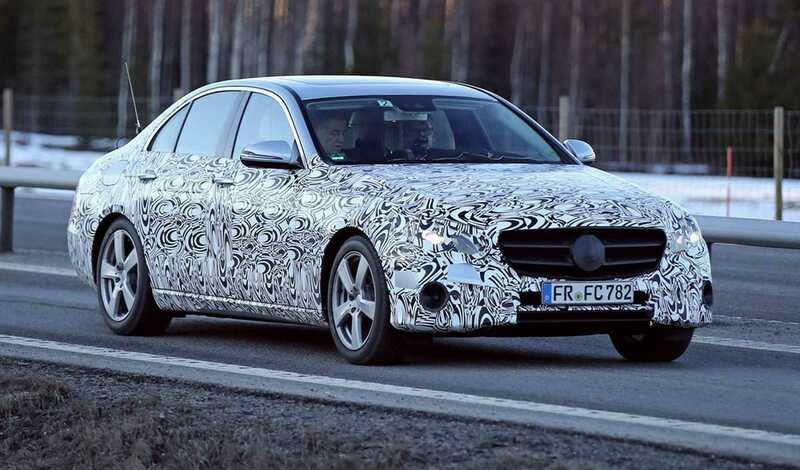 The new model’s cabin borrows a lot of design elements from the S-Class variant, but it has been tweaked so as to stand unique from its predecessor. While the brand has already released some images that showcase the interior and the exterior of the car, this is the first time that they showed it to the general public and the media without any camouflage. The 2017 Mercedes Benz E-Class features a dashboard which has the center console and the infotainment screen mounted right in the middle of it. Instead of opting for a fully digital controlled scheme, the designers have upgraded it with some physical buttons so as to render the much needed analog effect. The entire dashboard features an impressive matte finish plastic, which looks highly exquisite and may not get as dusty as other models do. It features an instrument panel which is exceptionally wide and borrows the layout from the S-Class sedan. The vehicle has fully circular air vents for the air conditioner and the heater panel. It has two analog dials to make it easy for the driver to know the speed, amidst other information. In an era of digital screen panels, analog dials with real speedometers is a rarity. Using them on the top class Mercedes Benz will not only make nostalgic lovers happy but also introduce the concept to the younger generation. 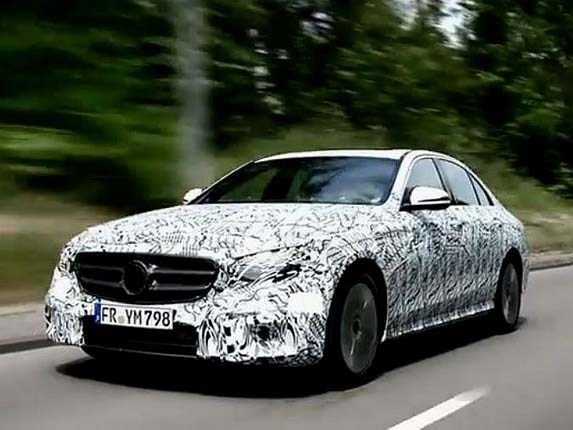 The body of the 2017 Mercedes Benz E-Class is constructed based on the modular MRA platform and uses a lot of aluminum parts which significantly reduces its overall weight. The car has lost at least 220 pounds which makes it lighter yet it doesn’t lose its grip on the road and has a firm feel to it even at top speeds. It is powered by turbocharged petrol and diesel engine variants, but for a power packed performance, Mercedes Benz offered a six cylinder inline direction injection petrol and diesel variants. The V6 engine used in the top of the line variant makes the car extremely fast on the road and offers an impressive acceleration level. We are yet to catch a full glimpse of the Mercedes Benz E-Class 2017 edition, but the dashboard reveal is a good start which should keep us satiated for a couple of weeks.